Consumers are smart; they're clever; they know what's going on & they know what they like. More & more companies we make bags for are reducing the size of their brand presence (reducing the size of their logo) on the bags. It seems counter-intuitive especially considering the point of the exercise is to build your brand. 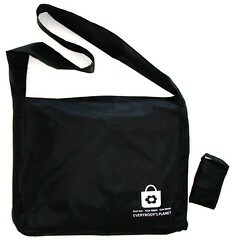 But wait; the actual point is to get consumers to carry your bag as their bag of choice. Believe it or not - it works. Contact Us to ask how!